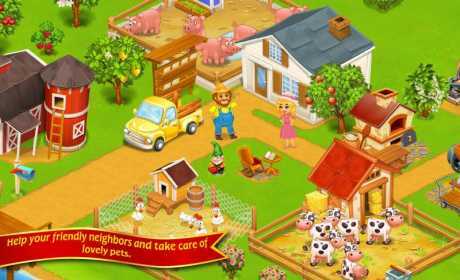 – Invite sheep, pig and kitty to your family farm. Almost Zoo with pet! – Grow trees and do apple pie. All farmers like apple pie and fresh milk. – Experience the quiet charm of rural life and feel like a real businessman! But that’s not all! 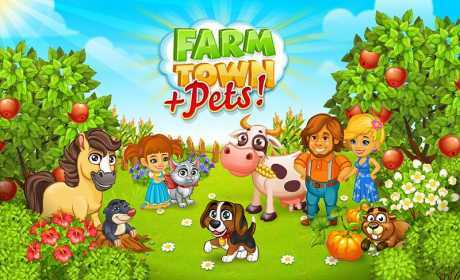 In this game you will have ability not only to build your farm – the whole nearby city and city ville will depends on your success. Enlist the support of your friends, and create your own distribution network, help the development of the city and provides residents with supplies and … Who knows, maybe it is you who will one day become the mayor of hay Farm Town! Farm Town will create your own farm story, hay day coming to your farm. Leave township, go to the country and do farming! Welcome to the exciting game about the life of a villager near the town of. But how we can make bee food?? ?